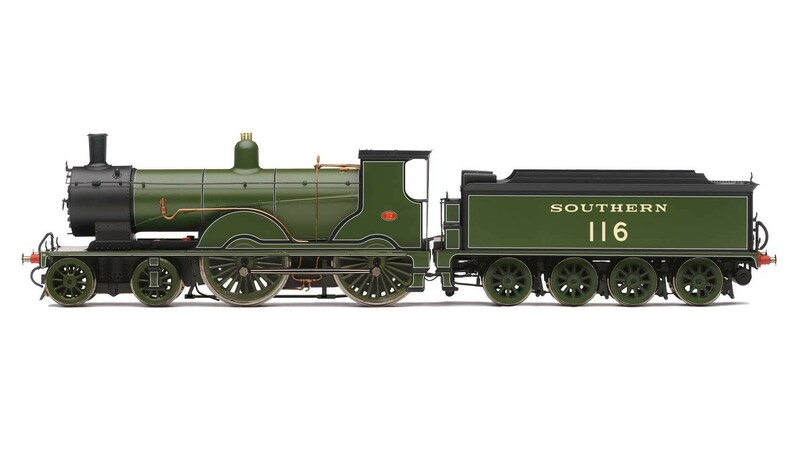 Hornby SR 4-4-0 '116' Class T9. Length: 229mm Livery: Southern, Finish: Pristine, Motor: 5 pole skew wound loco drive. Features: Individual Cab Components. Tender Mounted DCC Decoder socket. Small NEM tension lock couplings.